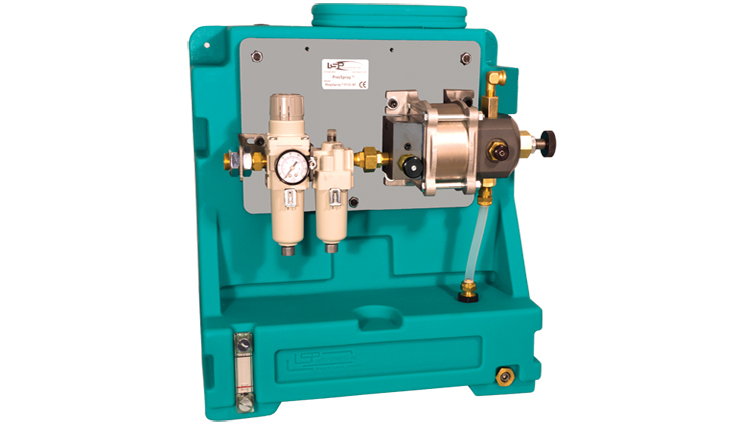 PresSpray I | LSP Industries, Inc.
LSP’s original airless spray lubrication system, the PresSpray-I is the economical solution to die lubrication. The PresSpray-I is a versatile system with elements of customization and can be purchased as a bracketed module for easy installation. How The PresSpray I Works. The LSP PresSpray-I uses positive displacement pumps for lubricating dies in metal stamping presses. It dispenses lubricant into either the die area of a punch press or on the coil stock prior to it entering the die area. The lubricant is dispensed in a predetermined quantity, in a fast-instantaneous spray that evenly coats the designated area. One ejector can handle multiple nozzles all dispensing in unison. Heavy duty construction allows it to handle heavy viscosity lubricants as well as light viscosity lubricants. 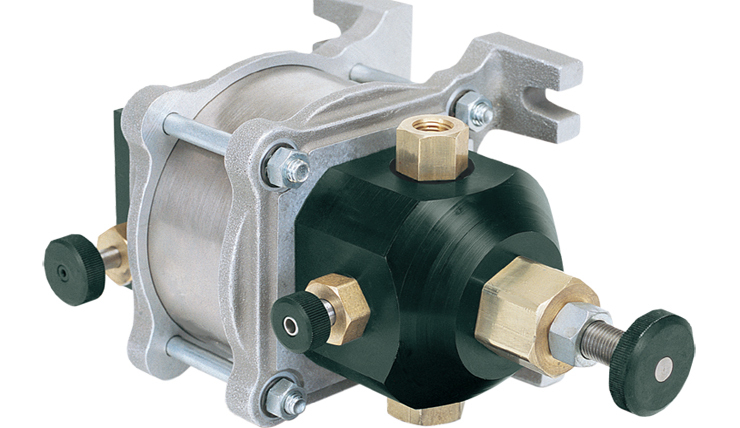 TThe PresSpray Ejector draws lubricant into the system and then forcefully ejects it out of the Spray Nozzles in a fine airless spray. Set the desire volume of lubricant needed and that volume will be dispensed on each cycle of the press. Contoller is specifically designed to control the operation of the PresSpray systems. It receives a signal from a proximity sensor that captures each cycle of the press and relays that information to the controller. 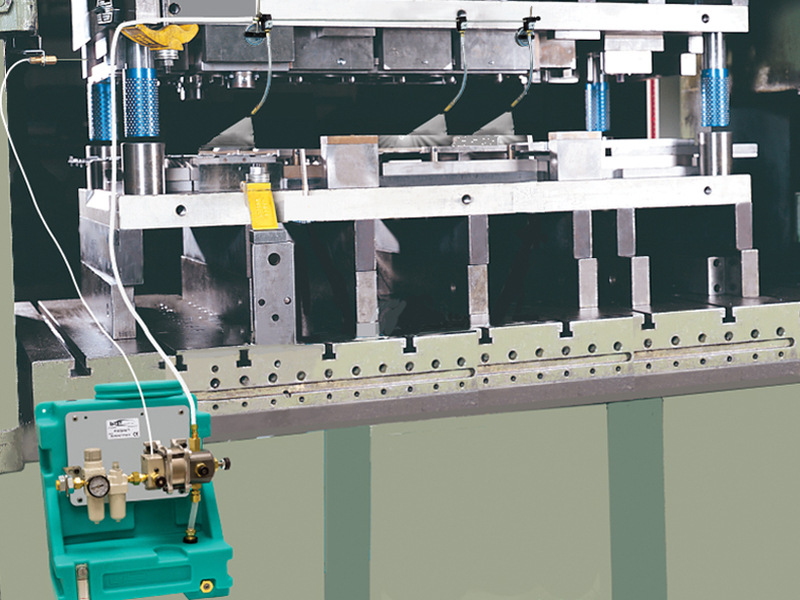 Once the controller receives that information, it takes control of the PresSpray and dictates when and how much lubricant it is to dispense lubricant to the die area. 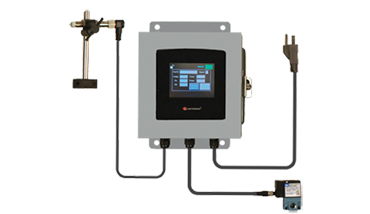 PresSpray Module is mounted on a Reservoir. Preassembled so that just the Nozzles and the Actuator have to be installed.